To Grandmother’s House I Go! Enjoy and stay blessed – both of you! Now isn’t this a clever and fun way to let your readers know what you are up to! Enjoy your visit! Thanks Thea! 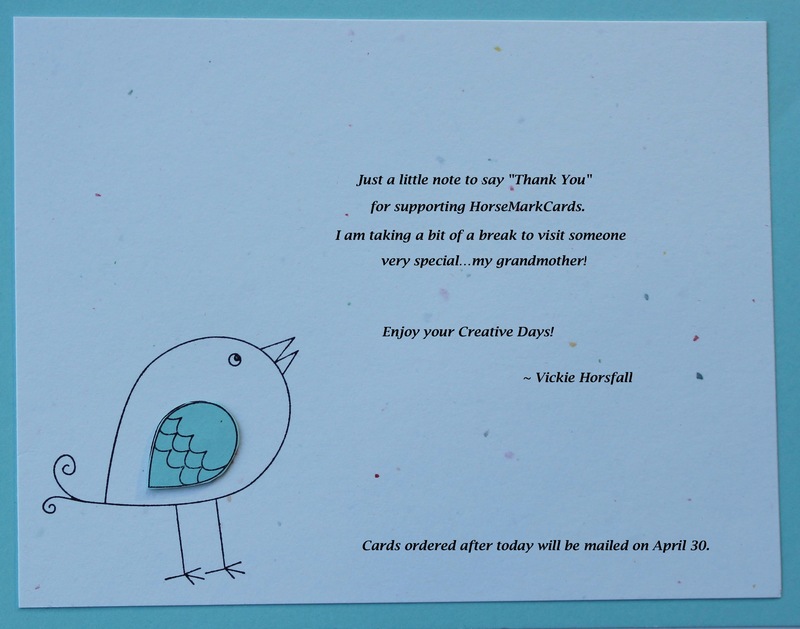 I wanted to let my customers know I would not be able to mail their cards out until my return. My visit with my grandmother was wonderful. She is a special lady. Thanks for stopping by and I hope you enjoy your day! Enter your email address to follow this blog and receive notifications of new posts by email. Your e-mail address will not be given to third parties. Birthday Card made with Cards! Custom Cards for Sports Fans! Seattle Seahawks Super Bowl Birthday Card! A Wedding Invitation becomes a Wedding Card!